If you are visiting the Czech Republic, one of the best things to do on a hot summer day is to visit one of its castles and chateaus. Apart from the historical and aesthetic relevance of your visit, it is also a good place to cool down – even for a bit. 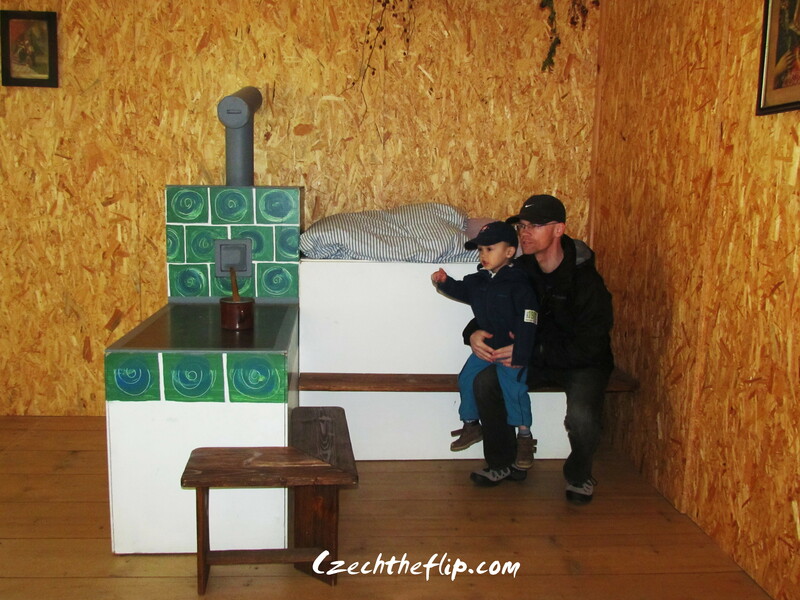 One of the interesting chateaus close to our area is Zámek Kačina. 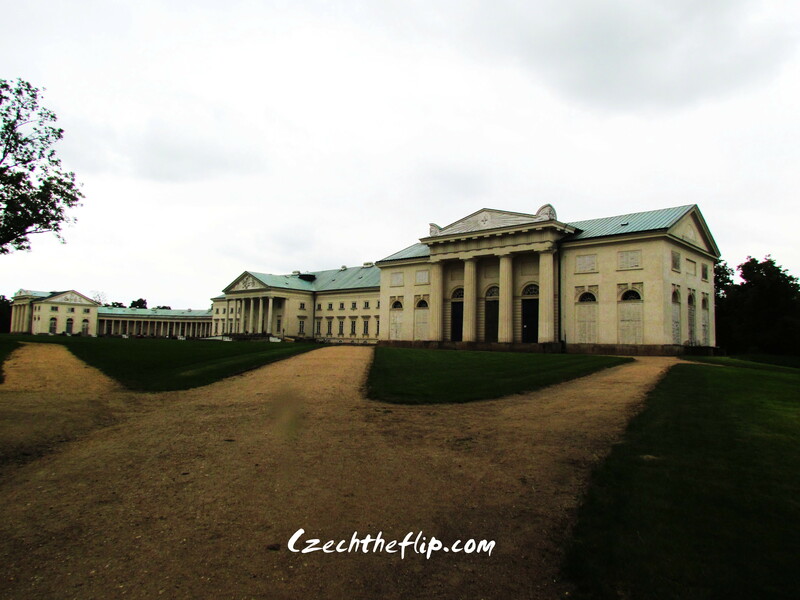 It was built as a representative seat by Count Jan Rudolf Chotek between 1806-1824. 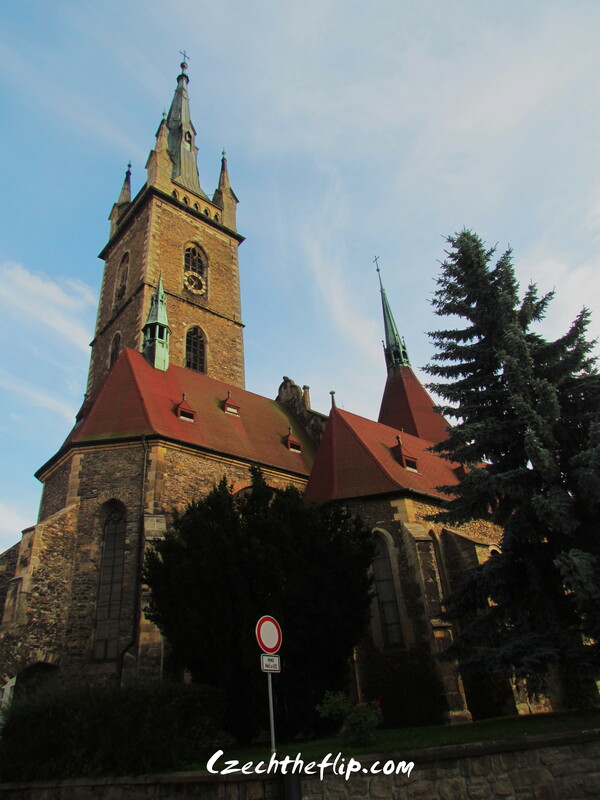 It was designed by a German architect from Dresden, C. F. Schuricht. Since then, it has undergone several renovations and was inhabited by the last Chotek heir in 1911. During the second world war, it was occupied by the Nazi SS units. In 1950, the building was converted as an agricultural museum. Finally in 2001, it was recognized by the government as a natural cultural monument. To this day, the chateau serves several functions. One wing still serves as an agricultural museum, another serves as a museum to showcase the life of the royals who inhabited the area, and another wing has a more commercial function – catering to weddings and other social events. On our visit, we wanted to see the exhibit of the life of the royals, but missed the tour schedule. Instead of waiting, we opted to visit the agricultural exhibit, since it was a self-guided tour. 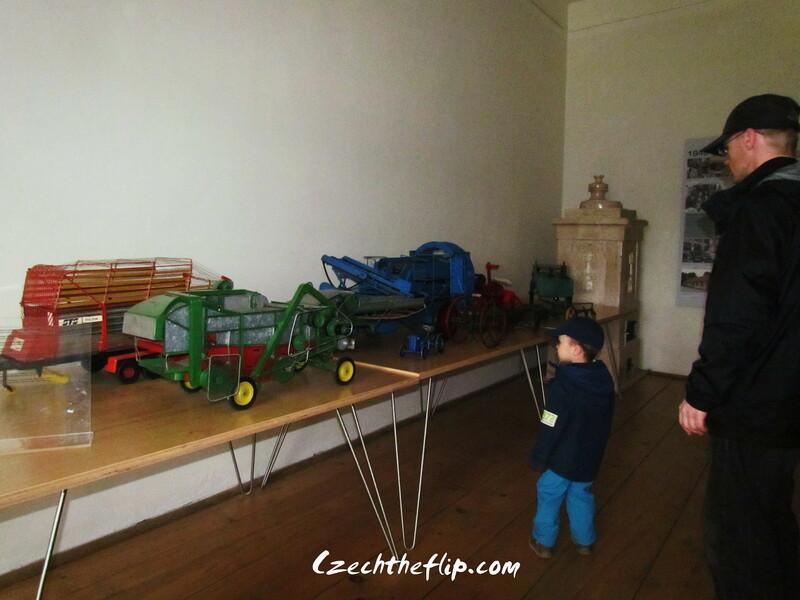 My son was particularly interested in the miniature tractors and machine equipment, while my husband was equally interested in explaining everything to him. Since it was a lifestyle tour, it also showcased the domestic tools that can be found in the households during those times. 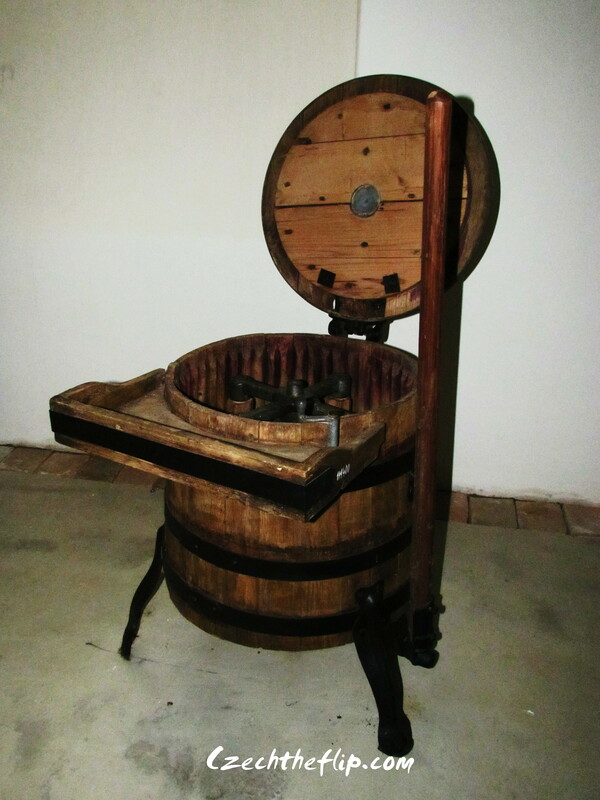 Here you can see the first washing machine that they used. Pretty innovative, I would say. 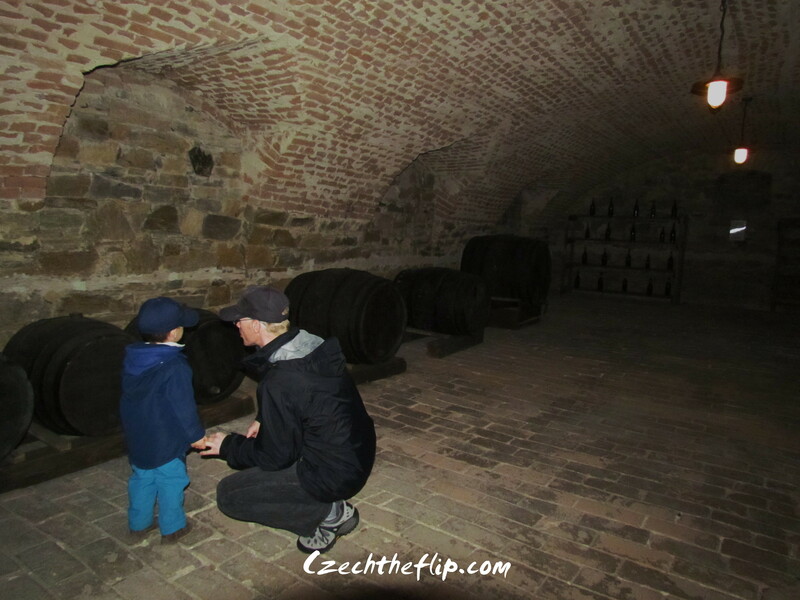 There was also an option to visit the cellars. 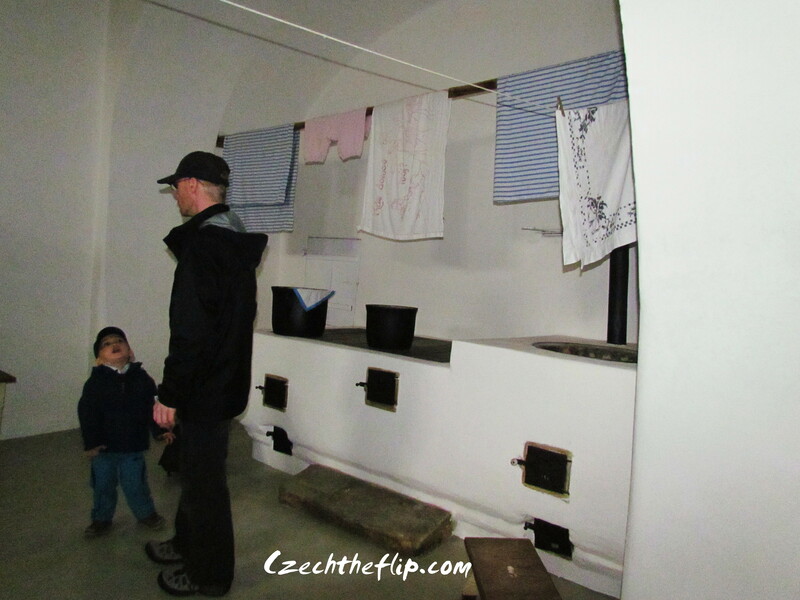 During wintertime, little children were told to sleep on top of the ovens to keep them warm. Here is an example of those sleeping areas. Anyway, I’m glad we opted to go to this tour since it was very educational and a bit different from the typical chateau tours that we normally go to. Kačina is a beautiful place and since it is close to our area, there will be more opportunities for us to visit again and witness the other tours. If you would like to know more about this beautiful place, you can visit their website. 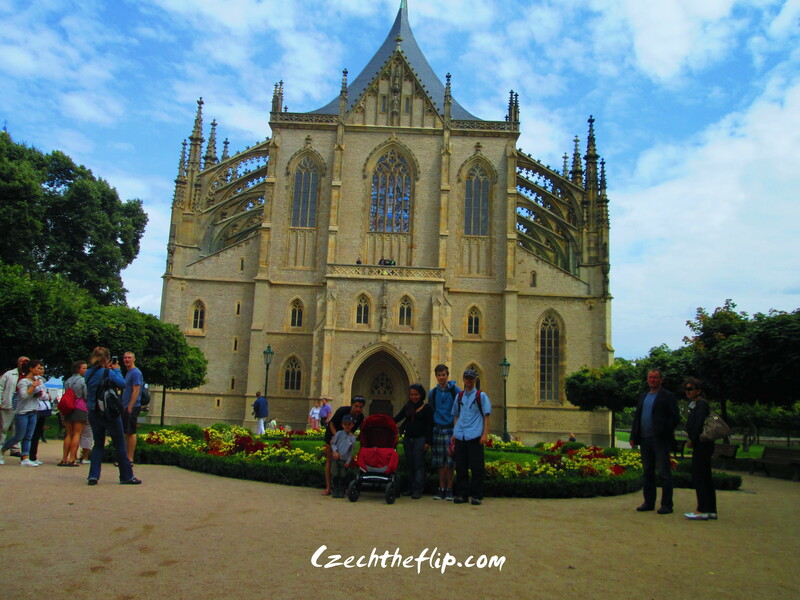 It is in the Kutna Hora area, so it can be a good side trip on your trip to Kutna Hora. One of the neighboring cities in my county is Čáslav. I’ve passed by this town several times but never really stopped to view the locale. 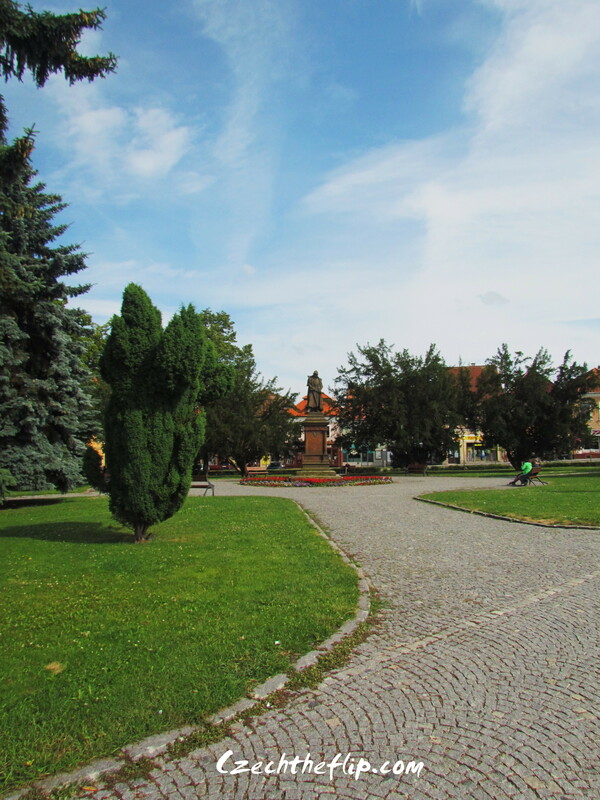 One weekend, we decided to visit Čáslav to explore the area. 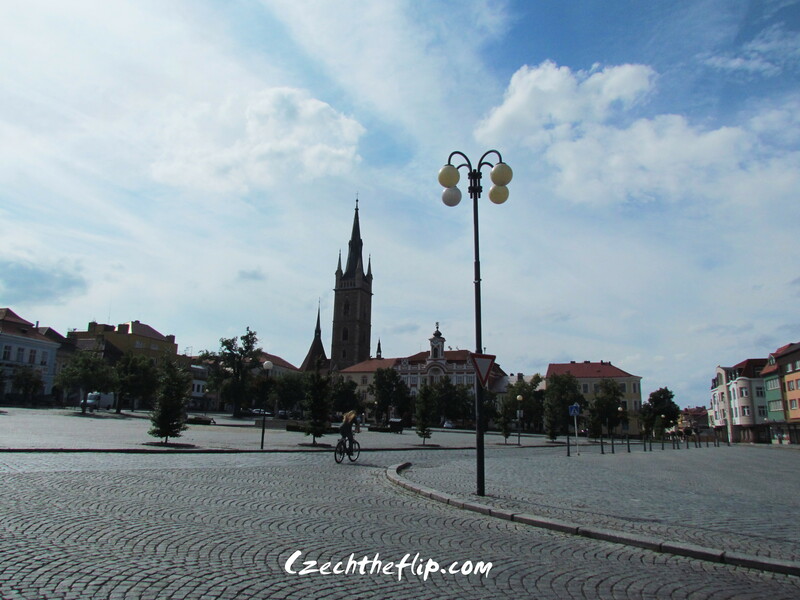 Like most towns here in the Czech Republic, the town square is laid with cobblestones. During our time there, we didn’t see a lot of people roaming around the streets since it was a Sunday. It was nice to see the town so quiet. Going further, we passed by the monument of Jan Žižka, one of the greatest Czech generals of all-time. In 1910, part of his cranium was discovered in the Čáslav parish church. We then walked further to view the remains of the city’s walls. 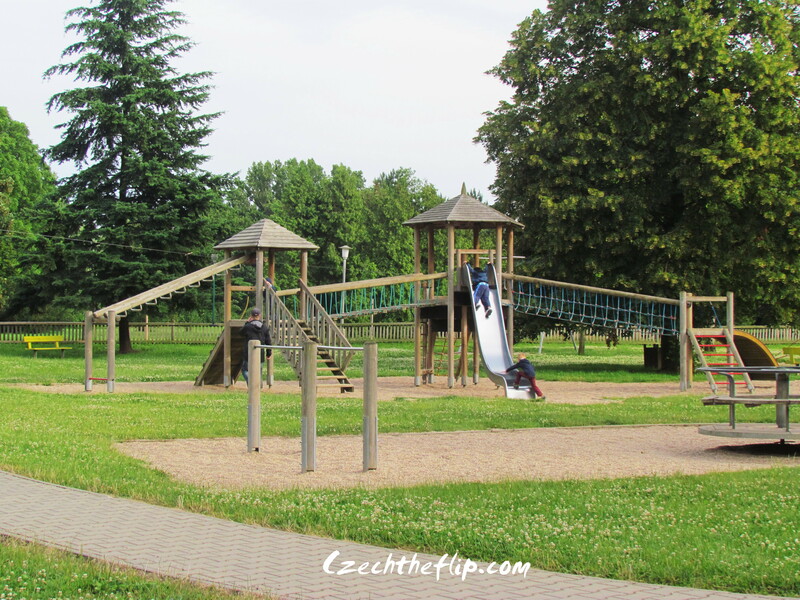 It further led to a sporting area with a playground for children. 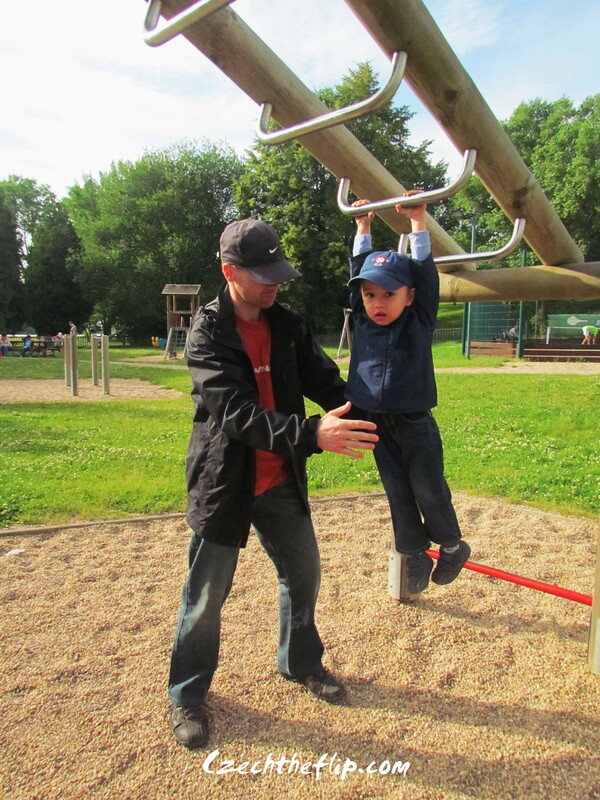 My little boy had a great time playing there with his daddy. After almost an hour, we decided to walk through a small lake to complete the loop. We then found ourselves on the square again and this time we went the other way where the Parish church is. 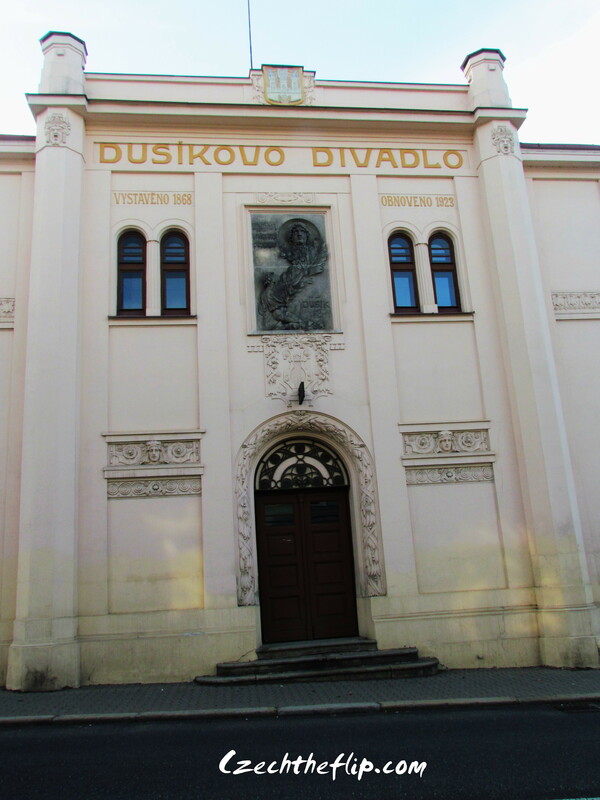 But perhaps one of the most notable landmarks in this town is the Dusikovo theater, which is the oldest theater in the Czech Republic. With its artistic heritage, no wonder it produces world-class talents. The famous director Miloš Forman was born in Čáslav. 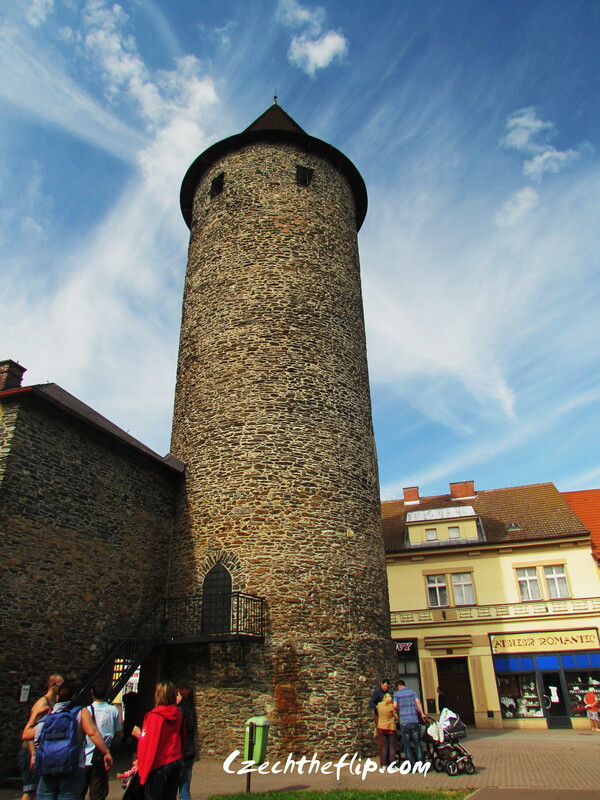 To know more about this historical town, you can visit their website. 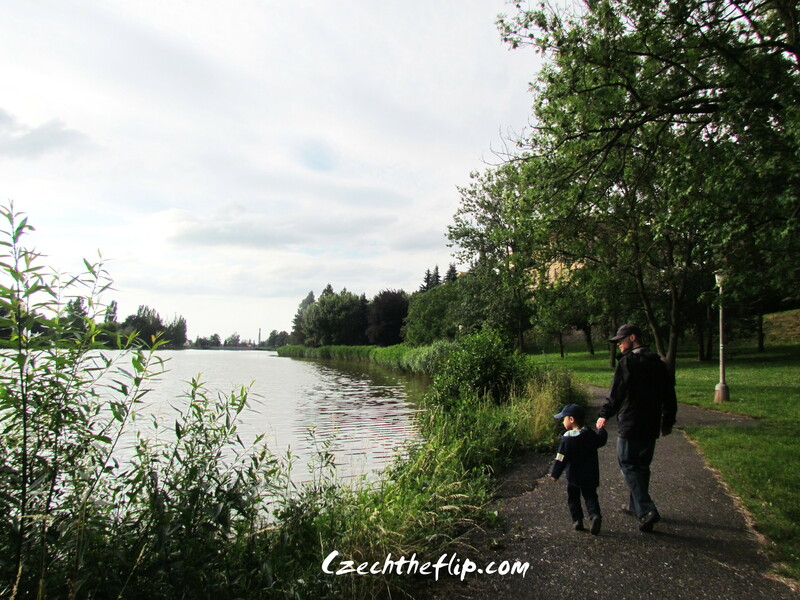 Because it is summer break, I am now constantly looking for exciting things to do for my active toddler. 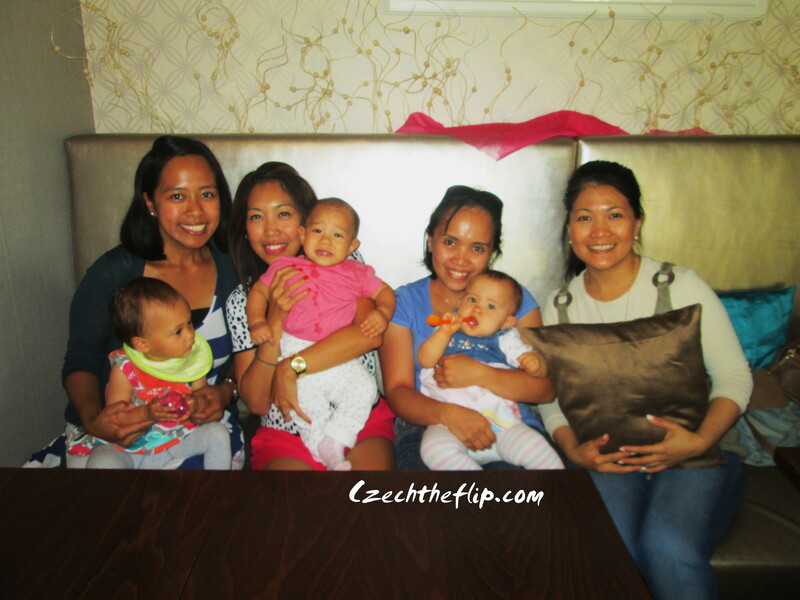 Between visiting the playground and going for a walk, there is also a need for quiet playtime, reading and learning. One day, as we were walking through a toy shop, I decided to buy him a puzzle to see if he will be interested. Sure enough, puzzles got him hooked! Maybe it is the feeling of completing something, the joy of seeing the picture unfold in the puzzle, or perhaps it is the mere challenge of solving something, but he loves puzzles. And it’s not just any puzzle. It has to be a krtek (little mole) puzzle. Krtek is a very popular cartoon character here in Czech and in some parts of Europe. Its creator Zdenek Miler, was said to have gotten the idea of bringing this character to life after stumbling through a mole hill. Krtek was first shown in Prague in 1956, and now it is still running and has been shown in other countries as well. The character in itself has expanded to a whole brand of merchandise – from children’s books, to puzzles, to videos, etc. There is a shortage of Mickey Mouse merchandise over here but an abundance of Krtek. I am still loyal to the mouse, but this mole is slowly winning my heart. Here is a short Krtek video of this endearing character. After passing all my driving tests last week, I guess I am now eligible for a Czech driver’s license. I only started getting serious about obtaining a Czech driver’s license 4 months ago, after living here for more than a year now. One can get by with an International Driving Permit, but this is only good for one year. Since we are here indefinitely, there is the inevitable need for me to obtain a Czech Driver’s license. Obtaining a Czech driver’s license is quite a process. In the beginning, I thought I could convert either one of my “other” driving licenses, since I already own 2, from 2 different countries. I tried. Unfortunately, I learned that I still need to go through the whole process all over again. Classes in English were only offered in Prague. Hence, I had to periodically endure the 1 hour commute to attend my classes, although I missed most of the theoretical lessons and only completed the compulsory behind-the-wheel sessions. In retrospect, I think doing it all over again was well worth it. Unlike the other cities where I obtained my other licenses, testing here in Czech is a tad more complicated. One has to undergo three tests – a computer test on rules of the road and first aid, a verbal vehicle maintenance test, and finally a behind the wheel test. Honestly, I have to say that these intimidated me a lot. First, because my language proficiency is not at an intermediate level. Second, because failure was not an option. With the help of a court appointed interpreter, I managed to answer all the questions of the rules and vehicle maintenance tests correctly. Then came the behind-the-wheel test the following day. Although it was freezing that day, I managed to sweat. That’s how nervous I was. The examiner only spoke Czech so my driving school teacher had to give me the instructions in English. After probably 10 minutes of driving, (which felt like forever to me), the examiner told me to pull over to one side and flatly said I passed the test. I almost squealed with joy, but the mood inside the car was so serene, I had to conceal my emotions. After going through the whole process, I feel like a huge weight had just been lifted off my shoulders. Sure I can drive, but I feel more confident now that I am fully aware of all the rules of the road and its possible dangers. Now I am proud to say that I am a Prague driver, a Los Angeles driver and a Manila driver. So sit tight. Buckle your seat belts. Let’s go! 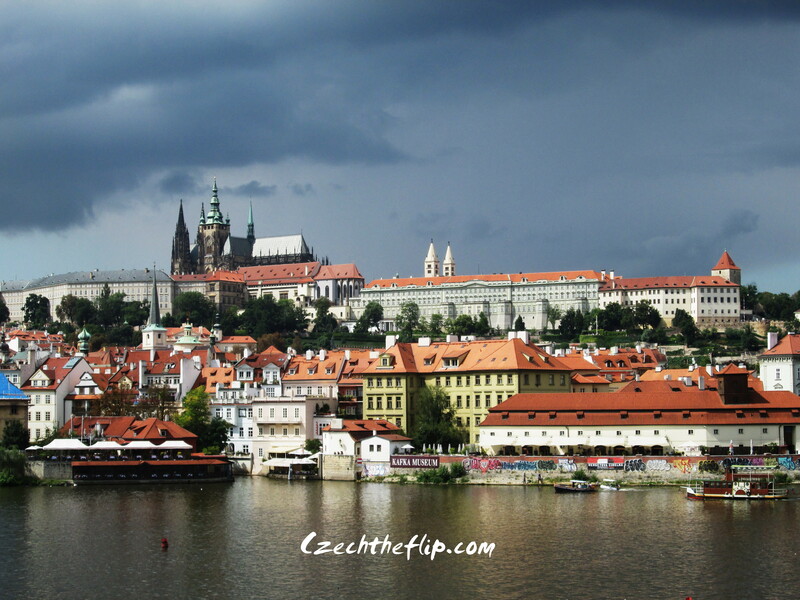 Prague is a city with diverse topography and rich architecture. Many of its cultural attractions have survived violence and destruction in twentieth century Europe. It is home to approximately 1.3 million people but receives more than 4.1 million visitors per year, making it the sixth most visited city in Europe. As this week’s photo challenge is about geometry, I couldn’t think of a better picture than one of Prague. 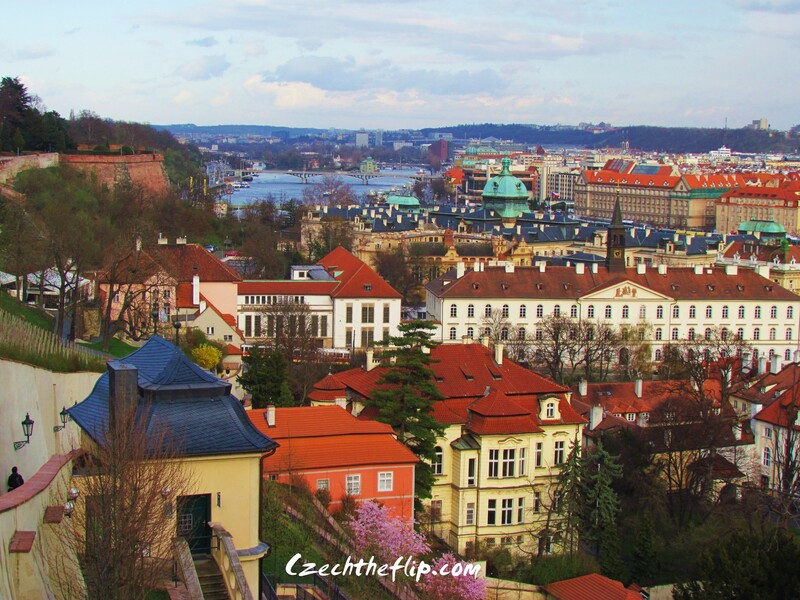 This shot was taken from the Prague Castle overlooking the city. The baroque structures seem to blend seamlessly with the more modern angular buildings. For me, this blend is geometry. The colors in this shot also have an interesting harmonious blend. It almost exemplifies the city’s colorful history.